It is so, so, so cold in Toronto. I thought last winter was bad, this winter lulled me into a false sense of security. It was positively warm on Christmas day! We hardly got any snow at all during November and December. I thought, hey, after last winter and the lack of heat this summer we are going to catch a break. Not so, there has been a cold weather warning pretty much every day for the last couple of weeks. The icicles hanging off of buildings look positively deadly and walking five minutes down the street to catch a streetcar can quite literally take my breath away. So what is a girl to do? Bake. The solution to every winter woe can generally be solved by turning on the oven (which warms up my whole kitchen!) and thumbing through my favourite cookbooks for inspiration. I didn’t make anything too crazy. I went with an old classic. The gingersnap. 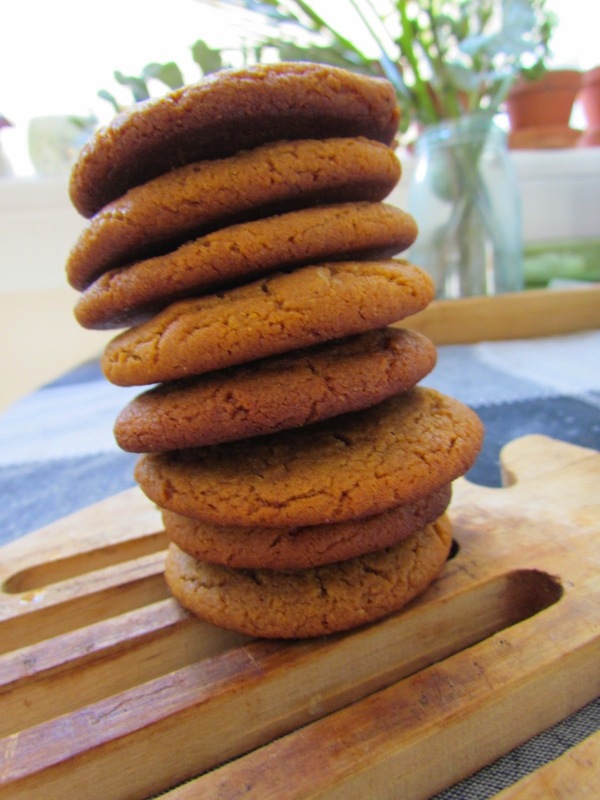 Always a favourite of my childhood, more exciting than an oatmeal cookie, but not as decadent as a chocolate cookie, the gingersnap gives you enough flavour without being too overwhelming. They are of course perfectly accompanied by tea. I used to love dunking them in the (rice) milky, sugary tea my Mum would make me. I can still picture the bag it had a union jack on it. And so, to get some of the heat of ginger I looked for a recipe to make my own. 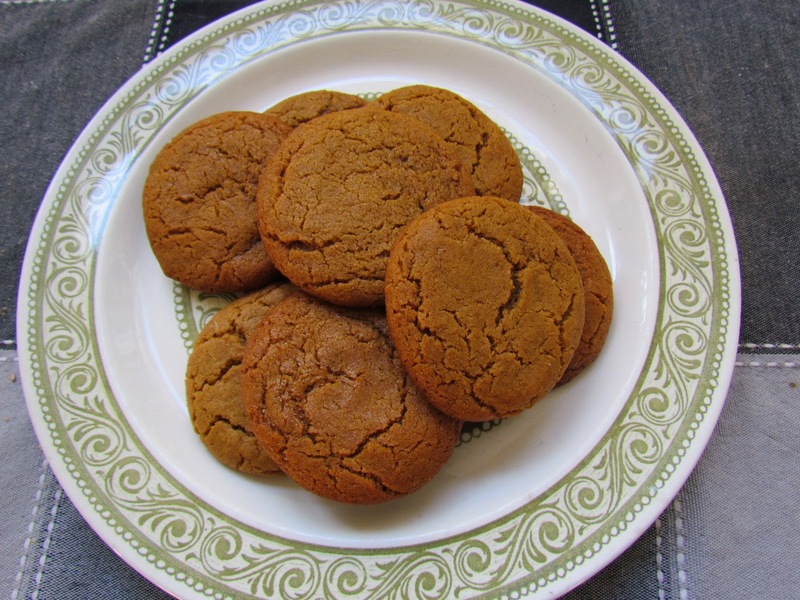 I thumbed through one of my go-to books, Vegan Cookies Invade Your Cookie Jar. 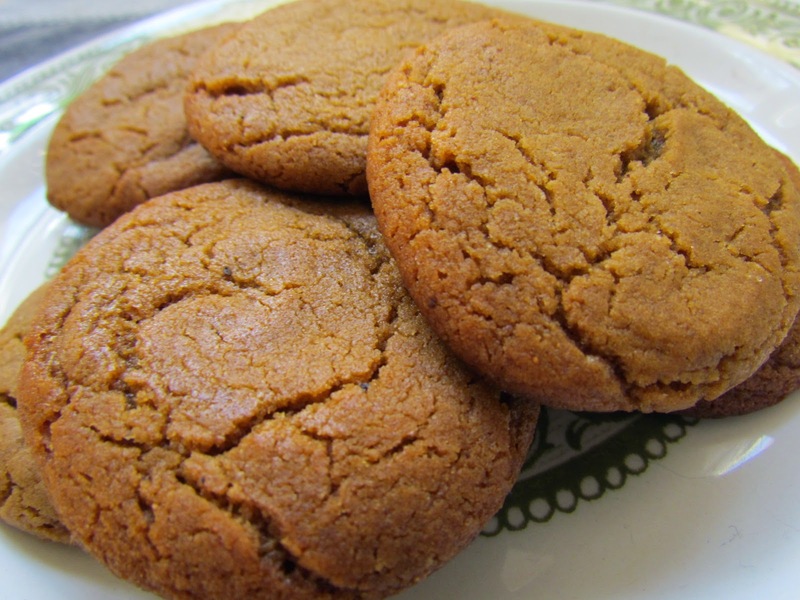 And of course they had a just perfect recipe for some gingersnaps. I think I will make the cookies a little bit smaller next time, use a teaspoon and not a tablespoon to measure the dough out onto the baking sheet. However big you like your cookies there is no denying that they look just perfect. 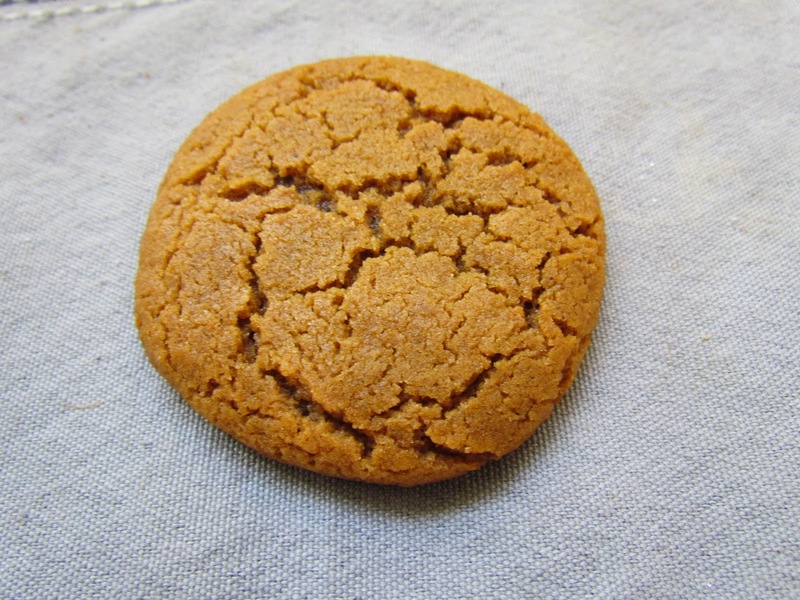 Cracked and crinkled on top, golden crisp on the bottom, a nice crunchy snap of a cookie. I am trying to look for the bright side in the endless sea of white and grey outside my window. I am organizing and cleaning the apartment, all the kinds of things I don’t want to do when I can be outside. I’m spending time writing and watching a lot of fantastic movies that have been on my list forever. I’m coming up with new recipes to try out and spending a lot of time in the kitchen. If I can’t get my good vibes from sunlight then I want to be eating the best possible way to stay feeling sunshiney! The best way to eat these is definitely in a really big sweatshirt, on your couch, with snow falling outside. Pair with a simple black tea to dunk in and a bulldog to cuddle with (cuddle with/have him try and eat your cookies when you aren’t paying attention) and you won’t find the winter to be so bad.